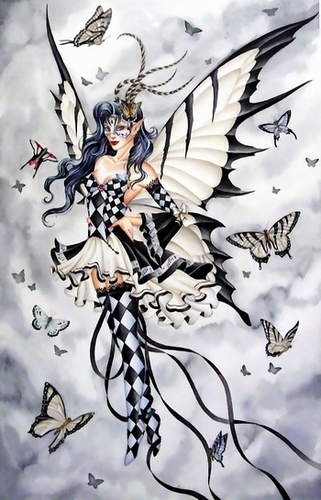 B/W Fairy. . Wallpaper and background images in the 妖精 club tagged: fairy faery black white butterfly faeries fairies. OMG my daughter would love this outfit!